We have lost track of the amount of customers we see onsite or in our workshop with broken computers and no backups. We equally can’t count how many look at us as if we are on another plant at the meer mention of the word back up as they don’t understand what one is. Therefore we thought this would be a great opportunity to explain what it is and why it is important. These are a few real life scenario’s where the question has been asked. · A large or small business using Sage or Quickbooks which keeps track of all their customers contact details, outstanding debts, tenders/estimates and expenses. As well as emails held locally in Outlook, Livemail etc. that still need responding to and upcoming appointments. Even hours of work on presentations held in Powerpoint. · Busy people rarely at home so they keep their life contacts on their smart phone not to mention their last once in a lifetime holiday photos or videos of their little ones first steps or first school play/ballet presentation on IPads or Android Tab which haven’t been downloaded yet. · Newly weds who have finally found their perfect home and are in the middle of getting it finalised. All their important solicitor letters are on their laptop. They also decide to combining their family tree and have spent countless hours tracing ancestors and cross referencing it with documents and old photo’s scanned from various relatives. · The student who’s thesis/dissertation has taken several years to complete and is in its final stages. If you can relate to any of these situation and now image there is lightning storm (or the electric board are working in the area) that causes a power surge for a few seconds and your devise switches itself off and quickly back on again or you are carrying your devise down the stairs as the cat/dog runs up causing you to drop your devise. Its rattling like a tube of sweets and not switching back on. 1. How would your business survive? 2. How are you going to recreate those first moments? 3. How will you contact friend you don’t speak to but need to invite to school reunion? 4. Where do you start with recreating a family tree from scratch? 5. How long will it take to rewrite several years of study and will it be as detailed and thorough? We’ve heard it all from both homeusers and business users and as we offer a data retrieval service will truly try try to get it all back but the sad news is sometimes it’s just not possible. Although 50% of the time we can retrieve some files these may not be the ones that are wanted the most. Obviously we don’t like giving bad news that the part inside the computer that holds all this really important information is no longer working or that even if they spent hundreds of pounds with expensive data retrieval companies, who charge just to assess the damage there are still no guarantees. The only safe option is having a backup. Now let me explain what it is? In short it is another copy of the same data/files updated on a regular basis held in another area off your devise. This is a really simple thing to setup, there are tools already on your computer that can do this as well as third party software that can make it easier or better. You may have also heard about the Cloud, there are many options to use. We can suggest one that will suit your needs. We recommend one of two main programs that seem to work for a majority of our customer’s. The first option is called Second Copy, from a company called Centered Systems, which is required to run a local backup. With a click of a few buttons all your important stuff will be copied from one place to another. To use this you will need a Memory stick or removable hard drive. The second option is Younited by F-secure. A Cloud base system which has many features to enhance your safety, once set up it does the work for you. It has added features that allow you to add all your computers and mobile devices in one set up. It will also back up your mobile text messages and contacts. 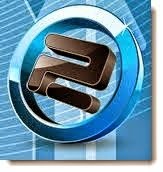 F-Secure is a company who respect the privacy laws and everything is highy encrypted. If you’re not sure or need more details please talk to us and we will be happy to advice which will suit you best or even how to setup one of the above. 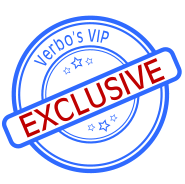 Alternatively if you have subscribed to our Verbo Computers Exclusive newsletter you will have seen a step by step guide on setting up a Local backup. If you would like to subscribe to our newsletter please click here and fill in to submit your details. If you do nothing else after reading this blog please take our advice and set up one of the following to copy your important data manually. Verbo Computers Ltd. Ethereal theme. Powered by Blogger.